When your Mazda is in need of auto maintenance or repair, you don’t want to spend more than you have to. 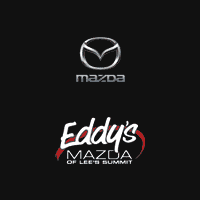 That’s why you should visit the Eddy's Mazda of Lee's Summit service center for our variety of oil change specials and auto repair coupons. We always offer rotating service specials so you don’t need to stretch your budget to keep your Mazda in peak condition. For brake service coupons, maintenance specials and more stop by our Lee's Summit location at your leisure! Contact our service team to schedule an appointment or inquire about our current service specials.